This image was taken well after the beginning of the dawn twilight. 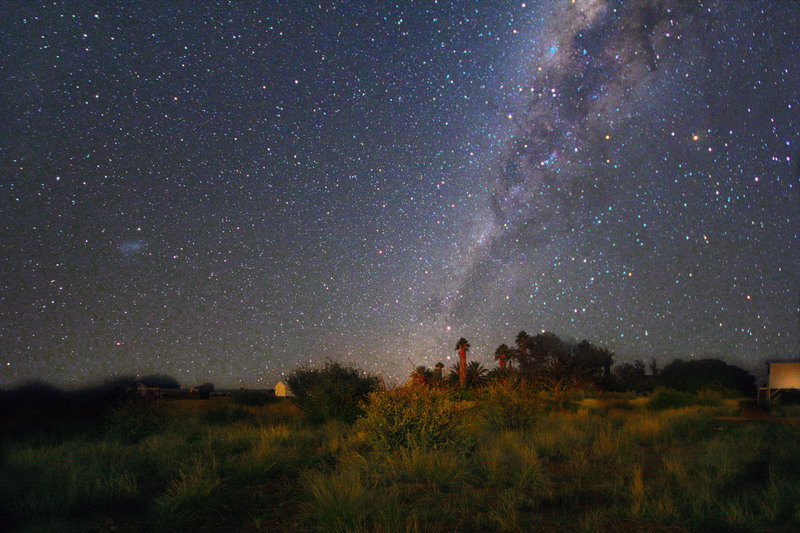 In the middle just above the horizon are α and β Centauri setting, at the left is visible the Small Magellanic Cloud. The brightest star at the upper right is Antares (α Scorpii).